What to Do If Your Business in California or Texas Is Under Investigation by ICE or DHS - Oberheiden, P.C. With the national spotlight on our country’s southern border, U.S. Immigration and Customs Enforcement (ICE) and the U.S. Department of Homeland Security (DHS) are ramping up their efforts to target businesses that hire illegal immigrants in Texas and Southern California. According to the U.S. Department of Homeland Security (DHS), there are approximately 12 million people living in the United States illegally. A significant percentage of these illegal immigrants are living and working in Texas and California, after coming across the U.S.-Mexico border. The current administration’s desire to crack down on illegal immigration from the south has been well-publicized, and illegal immigrants are being detained and deported every day. But, these individuals are not the only ones at risk for being targeted by DHS and U.S. Immigration and Customs Enforcement (ICE). With increasing frequency, these agencies are targeting businesses that hire illegal immigrants as well. Take, for example, ICE’s recent “immigration sweep” in Southern California or its subsequent raid in North Texas. These law enforcement efforts resulted in hundreds of arrests; and, according to news reports, followed ICE’s former acting director Thomas Homan’s order for the agency’s investigative unit to increase enforcement actions at businesses, “by as much as fivefold.” Homan was also quoted as stating that arrests during these enforcement actions would not only target illegal immigrants, but also “employers who knowingly hire people not authorized to work” in the United States. Yet, while ICE and DHS are adhering to mandates to aggressively target and prosecute businesses suspected of hiring illegal immigrants, law enforcement policies in some states – notably including California – are at odds with the federal government’s position on employment of undocumented workers. While ICE and DHS are arresting company executives who hire illegal immigrants, California is prosecuting employers who aid in the federal government’s immigration enforcement efforts. Clearly, this presents a predicament for executives and owners of companies that have hired, or that may have hired, undocumented workers. At this point, what options do these executives and owners have available? Regardless of whether your business is under investigation, you are concerned about potential law enforcement action, or your business has already been raided by ICE or DHS, you need to address your situation very carefully. If you are under investigation or have been made aware of a potential sweep or raid, you should engage legal counsel immediately. You cannot afford to make mistakes, and your defense team will be able to work with ICE and DHS on your behalf to mitigate any risk you may be facing. 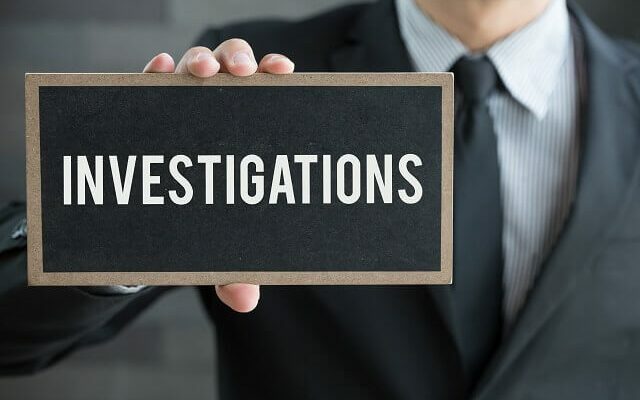 If your offices or operational facilities have already been raided or swept, you must immediately assess the damage and you must promptly determine if you have grounds to challenge the legality of the government’s investigation. What if you face the worst-case scenario? What if your business is shut down, you are personally arrested, and you are charged with a litany of federal crimes? With the potential for crippling fines and long-term federal imprisonment, at this point, you have no choice but to focus the entirely of your efforts and resources on your legal defense. While the risks of being targeted for immigration violations in today’s political environment are substantial, there are numerous potential defenses to allegations of criminal impropriety. The federal laws governing the employment of undocumented workers in the United States are extraordinarily complex, and defending against immigration-related charges is often a matter of demonstrating that the government’s efforts are misguided. Other statutory, constitutional, and common-law defenses exist as well. And regardless of the circumstances at hand or the current status of your case, you must avoid assuming that you will be convicted at trial. Were you personally aware that your company hired undocumented workers? Did your company have a policy against hiring undocumented workers? What percentage of your employees were undocumented? Does your company have a demonstrated history of hiring undocumented workers? Did your employees misrepresent their immigration status prior to being hired? Oberheiden, P.C. is a federal defense law firm with a nationwide presence. Our headquarters are located in Dallas, and we have a staffed office in Houston. We also have two offices in Southern California as well as other offices strategically located in other major cities around the country. All members of our firm are senior attorneys with extensive experience in federal criminal matters, and many of our attorneys previously served as federal prosecutors with the U.S. Department of Justice (DOJ). Our practice involves representing company owners, business executives, and other clients at all stages of high-stakes federal cases. From intervening in federal investigations to representing clients in federal district court, we do what it takes to protect our clients. If you have been contacted by ICE or DHS agents or need help making smart decisions during the federal government’s immigration crackdown, we encourage you to contact us immediately for a free and confidential consultation. For more information about our federal immigration defense practice, please call 214-469-9009 or tell us how to reach you online. We will arrange for you to speak with one of our highly experienced senior defense attorneys as soon as possible.